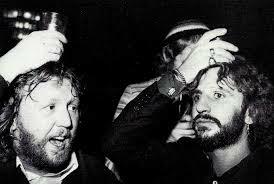 I just finished reading the new biography of Harry Nilsson by Alyn Shipton, titled Nilsson: The Life of a Singer-Songwriter. I knew Harry, off and on, for the last 15 years of his life, but there were great gaps in my knowledge of the man, gaps that this book filled most admirably. In fact, if I had known this much about his life and times before I’d met him, I’d probably have been too intimidated to approach him. One bit of full disclosure. In the early 90s, he wanted to shop around his autobiography, and I helped him to put together a proposal (I met Harry through the Pythons in general and Graham Chapman in particular); to that end, he sent me what he had written up to that point. I helped him package it and helped him send it around, but there were no takers, so I sadly sent it all back. But his family held onto it long enough for Shipton to mine it for quotes and other information. Dominating a huge portion of that life, of course, were the Beatles, particularly John and Ringo, though there are some wonderful anecdotes about Paul and George as well. It’s worth reading for that reason alone, but his life crossed so many other paths that I could scarcely believe my eyes. His childhood was spent shuffled from relative to relative, crossing the country alone at a frighteningly early age, until he wound up working as a bank manager. He kept that job even after he started finding success as a singer-songwriter, but shortly after he left it, the Beatles famously described him as their “favorite group.” He went on to major Grammy-winning success, but his success did not serve him well. He was a major part of John Lennon’s “lost weekend,” during which Lennon produced his “Pussycats” album, but drink and drugs took their toll on his personal life and on his amazing voice. I know people who encountered Harry during this period, and they described a different man than the Harry I knew. Of course, I knew him after he had mostly quit drinking, and that had a huge positive affect on him and his family. During his prime, he was turning out iconic hits like “Everybody’s Talkin'” and “Without You” (both written by others), while writing songs that others made into huge hits (Three Dog Night’s “One”). But he refused to be pigeon-holed, and his albums are incredible mixtures of rockers and old standards and everything in between. Yet he prided himself for never playing live concerts, and for the most part, he remained true to that. Nilsson does an amazing job of analyzing nearly every song he recorded (Shipton is a music writer), though I would have liked to have read more about his personal life, and his life after 1980 is given particularly short shrift. Then again, those were seemingly the saddest years for Harry, at least professionally, when his health began to suffer and his finances suffered because he trusted people he shouldn’t have trusted. 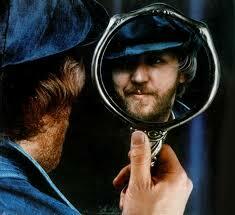 I enjoyed reading Nilsson until around 1980 for that reason–then it became a little too painful. But I know the 80s were his happiest family time with his family, making up for what he never had, so I’m not sure Harry regretted them. It should also be noted that he spend time in the 80s campaigning against Handgun Violence after John Lennon was assassinated, so even though he had mostly retired from music, he stayed active. He did appear at a number of Beatles Fan Conventions and sang (usually two or three songs) to raise money for the charity. Near the end, to repair his finances for his family, he was even planning a concert tour, but his ill health prevented that from happening. And frankly, his voice was not what it had once been, either, after those years of abuse. But Harry was still Harry, and I’m sure his personality could have made up for any musical lapses. It’s such a cliche to say that “his music lives on,” but the new episode of HBO’s Girls featured the cast dancing to Harry’s provocative “You’re Breakin’ My Heart.” He would have loved that, but I’m sure he knew he would be remembered regardless. 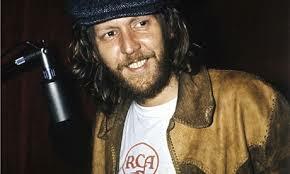 And thanks to Nilsson: The Life of a Singer-Songwriter, I was able to spend a few more hours with Harry. 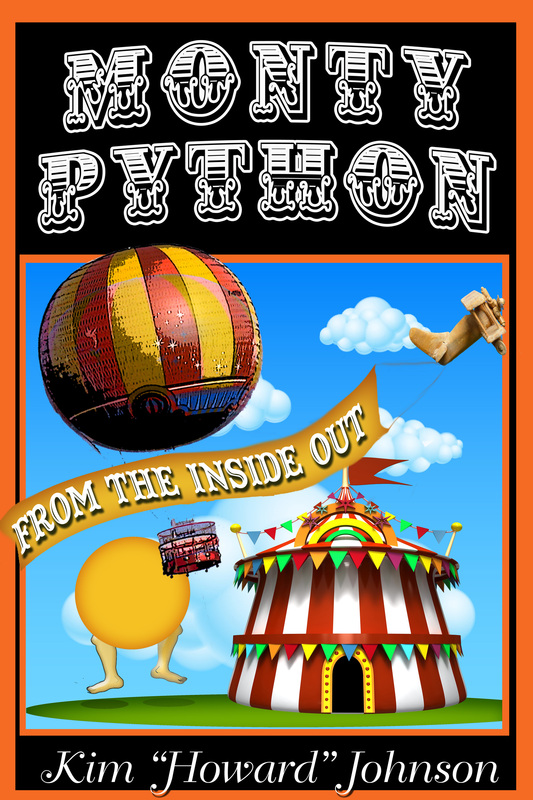 This entry was posted in Monty Python, Uncategorized and tagged Beatles, Everybody's Talkin', George Harrison, Girls, Graham Chapman, Harry Nilsson, John Lennon, Monty Python, Nilsson, One (Is the Loneliest Number), Paul McCartney, python, Ringo Starr, Without You, You're Breaking My Heart on February 18, 2014 by howardjohnson1985.